Remember the hours spent training and battelling and trading and walking around in long grass and crying because your battery died and you hadn't saved? 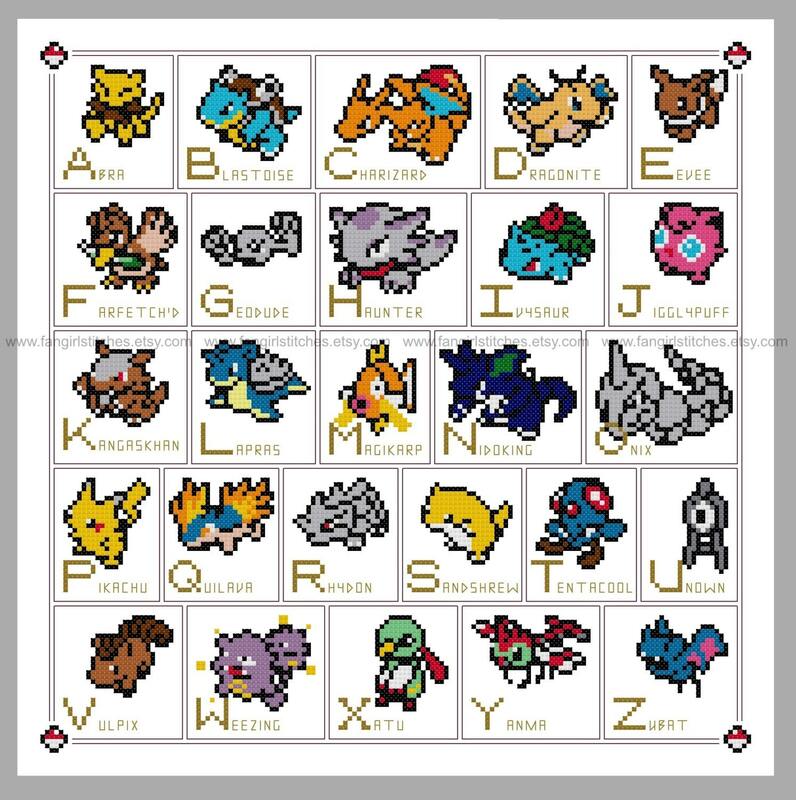 Now you can relive the memories with this Pokemon Alphabet Cross Stitch pattern. This is the alphabet as determined by my 19 year old brother. Disagree? 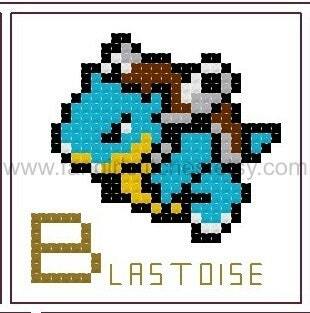 Missing your favourite pokemon? 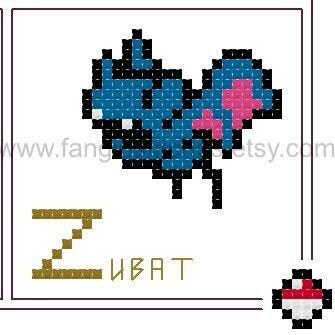 Why not order a custom pattern or check out my other listings?! This design includes whole stitch, half-stitch, backstitch, and french knots, and is suitable for intermediate stitchers or beginner stitchers wanting to stretch their skills. Great item and easy to get started with your great instructions! This is going on my god daughter's wall for sure!